Graduate in style with this premium graduation sash. 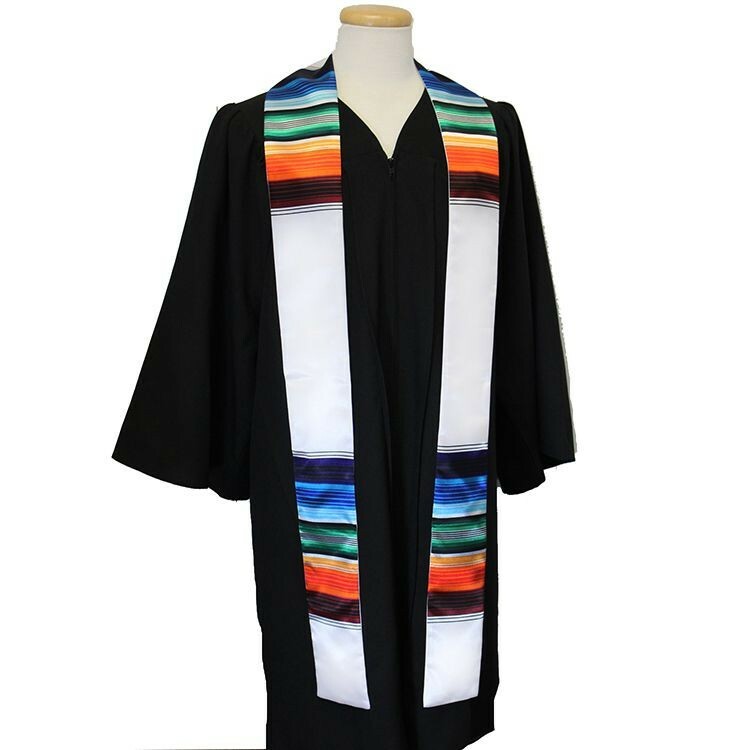 Our 84" x 4" white sarape graduation sash is a classic. Customize with print or embroidery for the ultimate keepsake. Great for graduations, commemorations or special events.